On July 21, 1780, Elias Dayton sent intelligence to George Washington “that the [British] fleets under Admirals Arbuthnot and Graves had sailed on Wednesday morning—that fifty sail of transports had gone up the sound, expecting to take troops on board at Whitestone, from whence ’tis said they are immediately to proceed to Rhode Island.” Dayton’s intelligence arrived at headquarters that same day, but Washington was “absent” and was not expected to “return before evening.” Hamilton however was present and, upon receiving the intelligence, he instantly rushed off a message to Lafayette, who was in Connecticut at the time. “The enemy are making an embarkation with which they menace the French fleet and army. Fifty transports are said to have gone up the Sound to take in troops and proceed directly to Rhode Island.” When Washington returned later that day, Hamilton drafted a letter to Rochambeau warning him of the same. Advocates of the Culper Ring’s involvement have tried to explain these challenges by contending that when Brewster was unable to find Tallmadge on the twentieth or twenty-first, he forwarded the letters straight to Washington. There is no evidence to support this conjecture, which was only conceived after the fact to explain how Hamilton could have received the intelligence from the Culpers in time. It has also been asserted that Tallmadge’s letter of July 22 had been misdated, that it had been written earlier, and that Hamilton received it on the twenty-first. This, however, ignores Washington’s letter of July 24 informing Tallmadge that he received the letter dated July 22 on July 23. Hamilton could not have received this letter on the twenty-first. Moreover, Elias Dayton had written to Washington that “fifty sail of transports had gone up the sound.” After receiving this letter, Hamilton, using nearly identical language, informed Lafayette that “fifty transports are said to have gone up the Sound.” In contrast, the information coming from the Culper Ring stated that “Admiral Graves with Six Ships of the Line and . . . three more out of N Y, also 1 of 50 & 2 of 40 guns, . . . has sailed for Rhode Island.” Clearly, the information Hamilton passed along to Lafayette came from Elias Dayton, not from the Culpers. With the intelligence in hand, Washington took measures to counteract and perhaps benefit from Britain’s plans. If the British were to send thousands of men and dozens of ships to attack Rhode Island, poorly defended New York City would suddenly become an easy target for the Americans. Washington started preparing an attack on New York City, to be executed only if a large proportion of the British fleet and army left for Rhode Island. Hamilton wrote to his fiancée on July 31, “We are . . . on our way to New York. I hope we shall take it.” Hamilton’s knowledge of New York’s geography as a resident and of its defenses as one who attended and recorded the interrogation of a Hessian deserter back in October 1778 would have been very helpful in planning the attack. Hamilton also penned letters for Washington to Rochambeau and Lafayette regarding this possible campaign. Washington told Rochambeau in a letter drafted by Hamilton, “The only way I can be useful to you is to menace New York, and even to attack it, if the force remaining there does not exceed what I have reason to believe.” In the end, the British fleet came back to New York without attacking Rhode Island and Washington cancelled his attack on New York City. The gathering of intelligence, quick distribution of it to the necessary parties, and the development of new plans of attack based on changing circumstances enabled the Americans to prevent a possible calamity for the French fleet and American army in Rhode Island. * Washington often complained about the slow delivery of intelligence from the Culpers. In February 1780, Washington wrote to Tallmadge, “It is my furthermost earnest wish that you would press him to open, if possible, a communication with me by a more direct route than the present. His accounts are intelligent, clear, and satisfactory, consequently would be valuable but, owing to the circuitous route through which they are transmitted, I can derive no immediate or important advantages from them.” Again in May, Washington explained that the Culpers’ “intelligence is so long getting to hand that it is of no use by the time it reaches me.” After the war, Washington told Tallmadge, “The Services which were rendered by him (however well meant) was by no means adequate to these Expenditures. My Complaints on this head, before I knew the amount of his charges, you may remember were frequent; and but for the request of Count de Rochambeau . . . I should have discontinued the Services of S[amuel] C[ulper] long before a cessation of hostilities took place, because his communications were never frequent and always tedious in getting to hand.” It would seem that the intelligence arriving from the Culper Ring on July 23 was just one of many instances when this spy network delivered information too late to be useful. 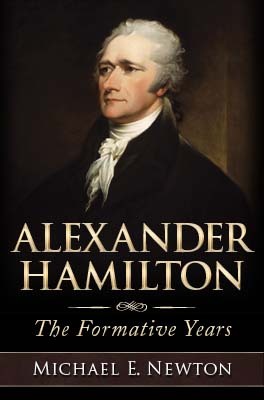 This topic is covered more fully in Alexander Hamilton: The Formative Years. Citations and even more supporting evidence will also be found in the book’s endnotes.